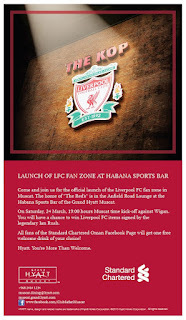 Those of you who like over-paid actors soccer, and in particular Liverpool, may be excited to discover that tonight the new Anfield Road lounge is launching in partnership with the Grand Hyatt and Standard Chartered. At 7pm, Liverpool kick off against Wigan, and you can win some cool Liverpool bits and pieces, signed by 80's super-icon Ian Rush (owner of an impressive 'tash as well). 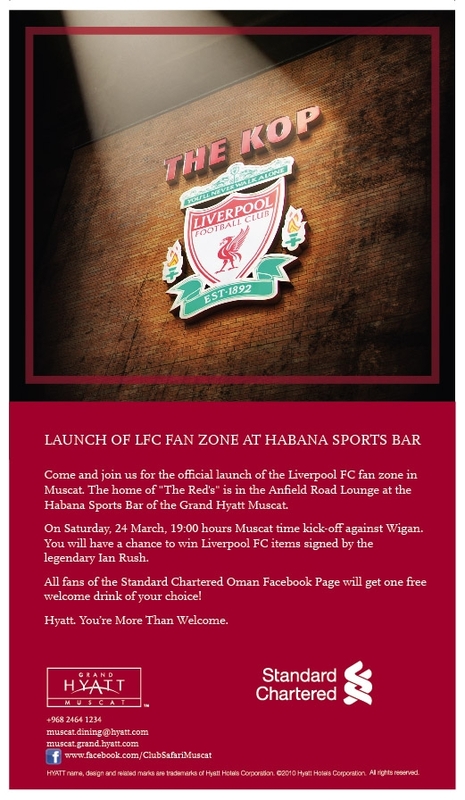 But wait, there is more - to get a free drink, all you have to do is "like" the Standard Chartered Oman facebook page et voila, the very kind people at the Habana will furnish you with a free drink. Not too shabby, free is, after all, my favorite price! Football is not universally understood to mean the sport, whereas, Soccer is. Have we cleared that up?! Where's the S in FIFA?